The Swedish furniture retailer is using Apple’s ARkit to help digitally furnish your own space. For years IKEA has been making it insanely easy for its millions of customers to furnish their homes, offices and studios with colorful furniture and affordable appliances. Lately however the Netherlands-based corporation has been experimenting with immersive technology, from an official virtual reality kitchen experience, to a VR pancake cooking simulator for some strange reason. 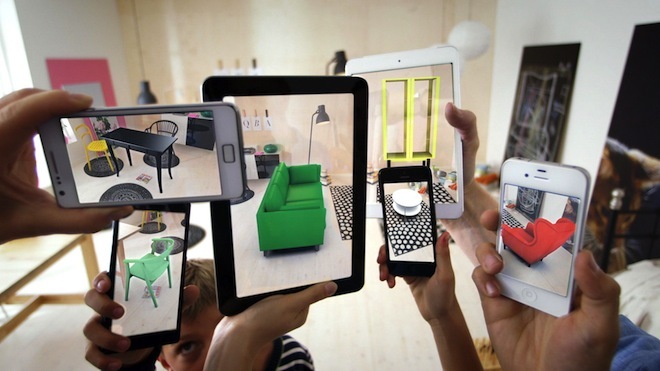 Now it appears as though the multinational group is crossing into augmented reality territory with a brand new app that brings digital IKEA furniture into any room of your choosing. Available later this month, IKEA Place allows users to reimagine their space of choice with a wide variety of over 2,000 digitally-rendered IKEA sofas, coffee tables, armchairs, etc. available at launch with more to come. Using Apple’s ARKit, the AR experience automatically scans the environment and resizes the 3D models based on the rooms dimensions with an astonishing 98% accuracy. The power behind Apple’s ARKit platform also brings realistic lighting and shadows to the fabric of the virtual furniture. The app also allows users to capture images of their freshly decorated room and share them with friends or family for a second opinion. “ARKit gives us the opportunity to help shape the development of AR as an accessible tool for real-life decision making,” continues Valdsgaard. The products available in the app at launch will focus primarily on larger furniture built for the living room such as sofas, armchairs, tables and various storage solutions. The AR experience will also play a large part in the reveal of future product lines.